Please contact us by using the form below or by calling our White River Junction, VT office at 802-295-5631. We are conveniently located in the Upper Valley area of VT and NH close to both I-89 and I-91 and we are just a short drive from DHMC and Dartmouth College. 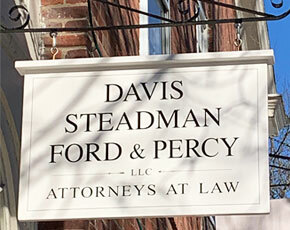 Our offices are located in White River Junction, VT and Woodstock, VT.
We appreciate your interest in Davis Steadman Ford & Percy, LLC. We do not share information about who contacts us. Please take care to note your initial contact via email or telephone does not create an attorney-client relationship. By sending us an email, you are authorizing us to respond to you by email and, if you provide a number, by telephone. (We will not leave a message unless you authorize it, but be aware that anyone with access to your cell phone will be able to see our number as a “missed call.”) Please ensure that your email address is entirely confidential and that no one who is not authorized to read your emails has access to them. We encourage our clients to regularly change their passwords for all digital forms of communications, and to take all appropriate measures to safeguard their electronic privacy. You do not become a client of the firm until we have completed a review for potential conflicts-of-interest, and until we have reached an agreement with you regarding the scope and terms of representation. If you do not become a client of the firm, we are not precluded from representing other individuals, parties or entities whose interests may be adverse to yours. By clicking on “I AGREE” you expressly acknowledge and agree to these terms. This message can only be sent when the above box is checked.